When in Malacca City, you cannot miss this Red Square. Everything seems to revolve around here. There are tons of tourists mingling around the Square at any one time, so it is not easy to take a good photo. 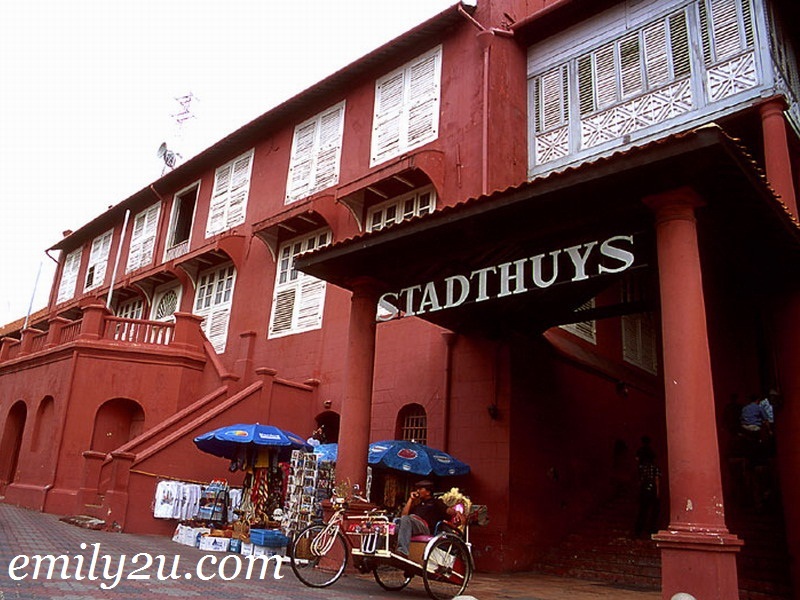 The Stadhuys (City Hall) building is now actually the Museum of History and Ethnography, which requires an admission fee. Nearby is the Clock Tower, the “zero point” of Malacca.